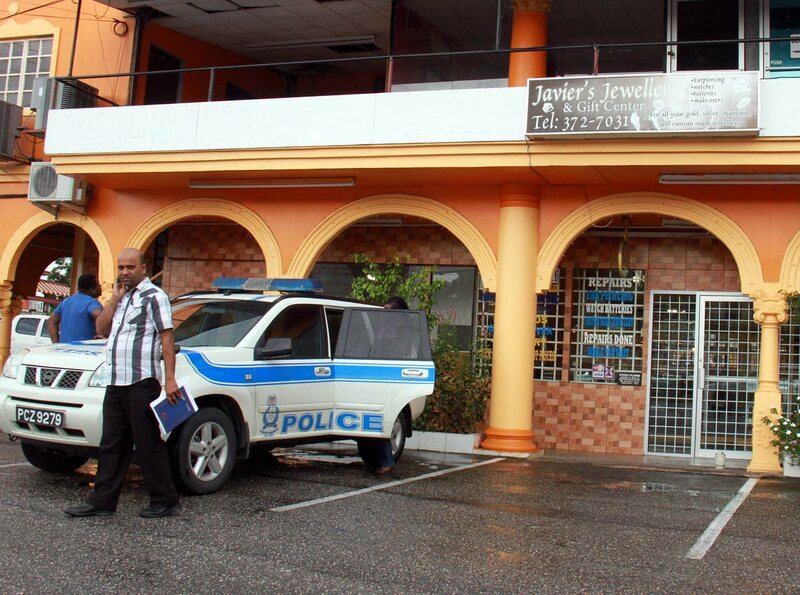 A Penal businessman was shot at close range by a bandit during a robbery at his jewellery store on Tuesday morning. He has been identified as Roger Pilgrim, 44, of Siparia. He is the owner of Javier’s Jewellery Shop on the ground floor of GN Shopping Centre in Penal. Around 11 am, three men entered the shopping centre and announced a robbery at Javier’s. One of the bandits then snatched a batch of gold rings from Pilgrim who tried to pull the jewellery away and the thief shot him in the stomach. As he fell to the ground, the thieves ran out and escaped in a waiting white station wagon. Pilgrim was taken to the nearby Penal health centre and then transferred to the San Fernando General Hospital, where he had emergency surgery. When police arrived at the scene, jewellery lay scattered on the floor. Penal police headed by Sgt Gookool are investigating. Reply to "Jeweller shot in Debe"